A drill rig between Carlsbad and Artesia, New Mexico, just after a thunderstorm, October 2017. Source: Bureau of Land Management New Mexico State Office, Surface Ownership, 2012. 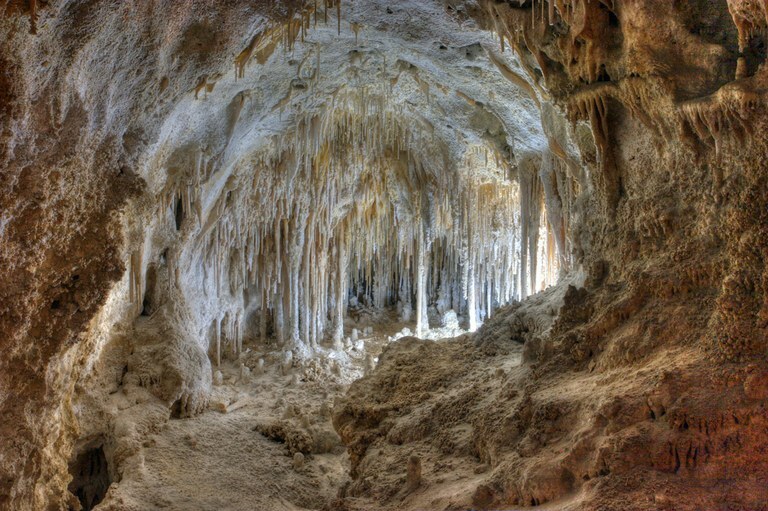 Carlsbad Caverns National Park is an expansive network of caves that has yet to be completely explored. The caves near the park could be affected by proposed drilling in the area. Many locals to southeast New Mexico are advocating for fewer restrictions on the oil and gas industry. Dan Girand, former director of legislative and regulatory affairs at Mack Energy Corporation, an oil and gas producer based in Artesia, is concerned the plan will close certain lands to drilling and put restrictions on others. “Once they lease it to us, they’re going to have conditions to it, which could cost us a whole bunch of money,” said Girand, who is also chairman of Chaves County Lands Council. 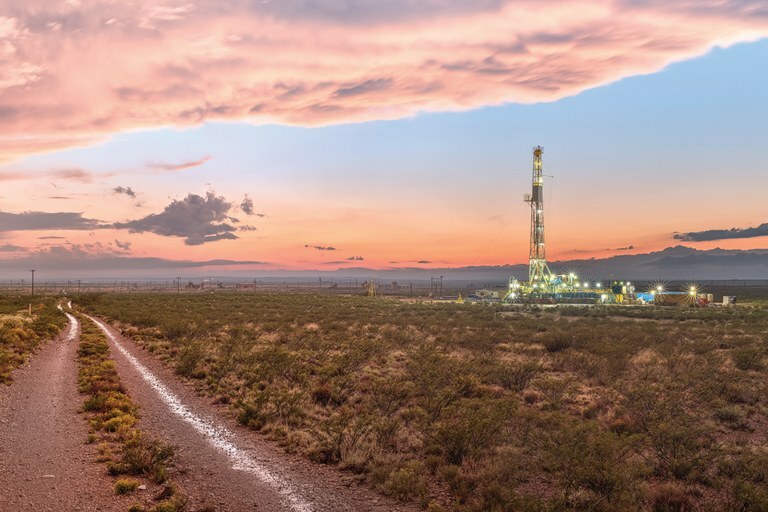 Oil and gas is an important economic driver for communities in the area and county commissioners would like to see even more focus on drilling and greater local input in the process. Fifteen percent of jobs in the area are in mining or the oil-and-gas industry. The per capita income of this three-county region was $39,500 in 2016, according to Headwaters Economics data. 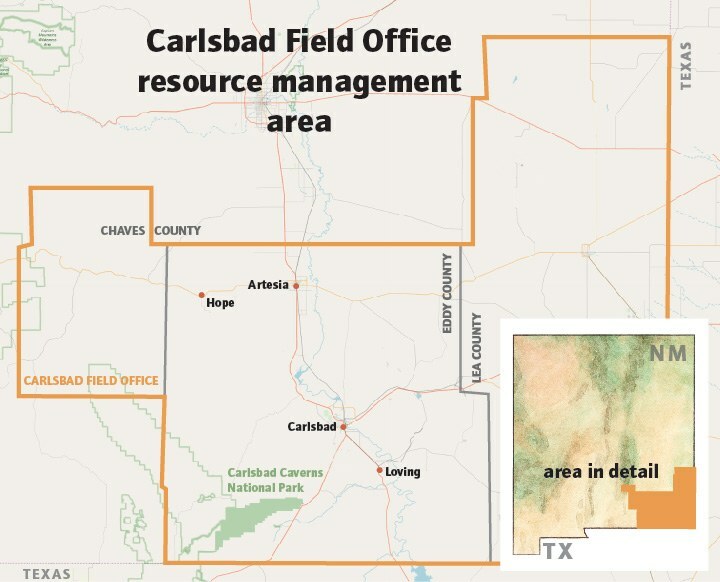 While Cavin called for more coordination between regional federal employees and locals, he also said he and other county commissioners met with BLM brass on multiple occasions earlier this year to voice their opinions about the new RMP, including with BLM Deputy Director Brian Steed and Deputy Director of the Office of External Affairs Tim Williams. Note: This article has been updated to note that Dan Girand is the former, not current, director of legislative and regulatory affairs at Mack Energy Corporation.